« The listing says the house is vacant…. 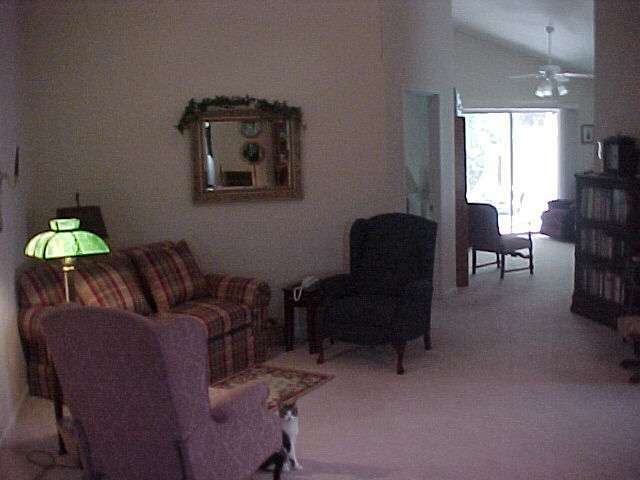 When you are marketing a home you do not want anything to distract the buyer from the property… Especially a pet. 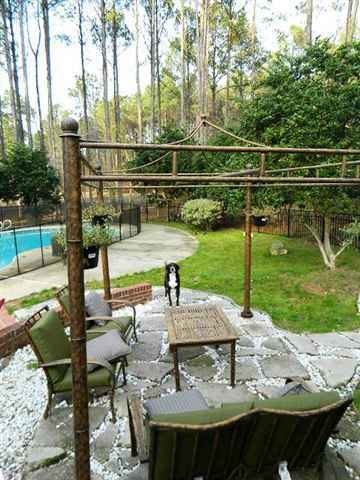 My Favorite- A home in Rosehill and the Realtor could not get a pool photo without the dog! 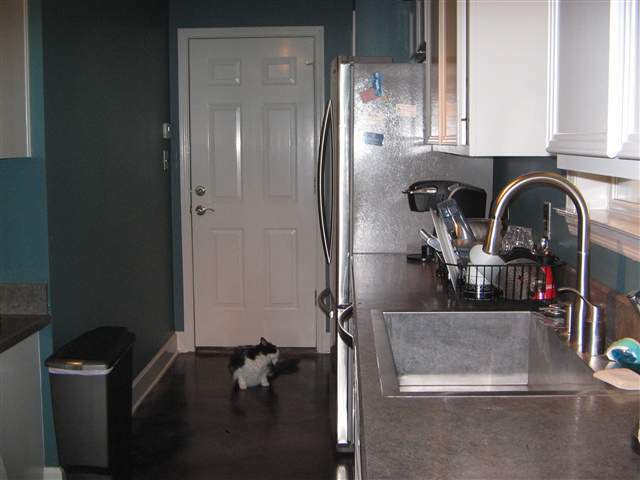 This cat is looking right at the Realtor! No Fleas in this house! A Cool Cat hanging by the pool. You have no idea how many cats and dogs I’ve had to “get rid of” from my photos. Pets love cameras. RE the first picture: REALLY??? The pole? 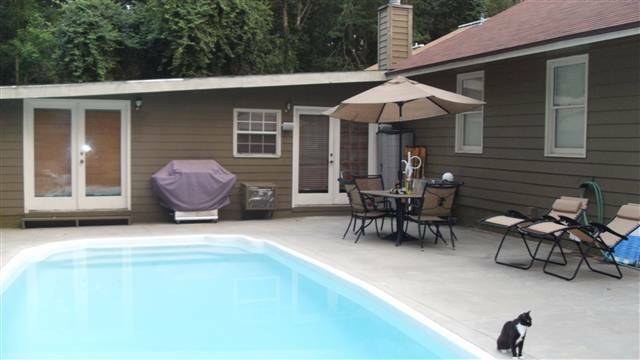 Could they not have stood between the two poles and taken a better-angled shot of the pool? Or was there a body in it that they had to avoid catching on film?